This is the closest tube stop to the Princess Diana Memorial Playground in Hyde Park, the attraction the Arrows were most excited to see. I have never seen a playground quite like this one. 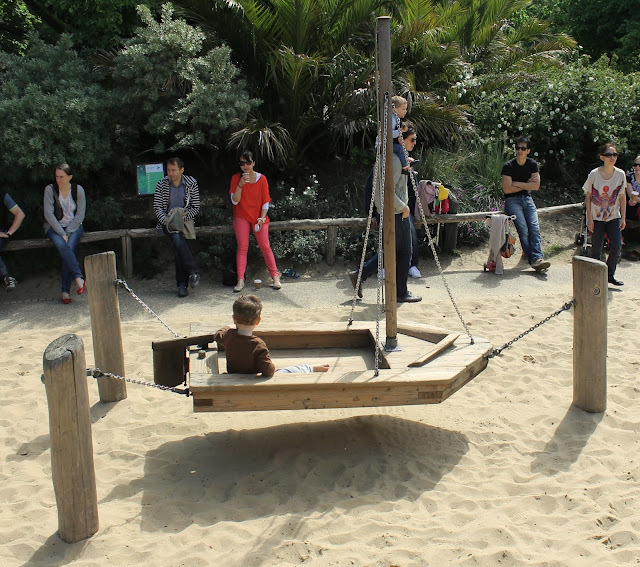 Everywhere I turned, there was something amazing for children to play on. 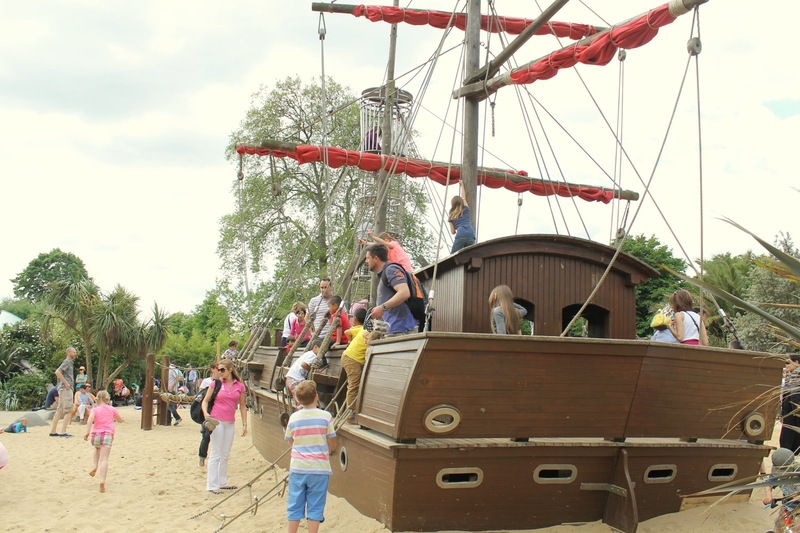 The bulk of the area is covered in fine beach sand, so even the ground beneath you is designed for play. 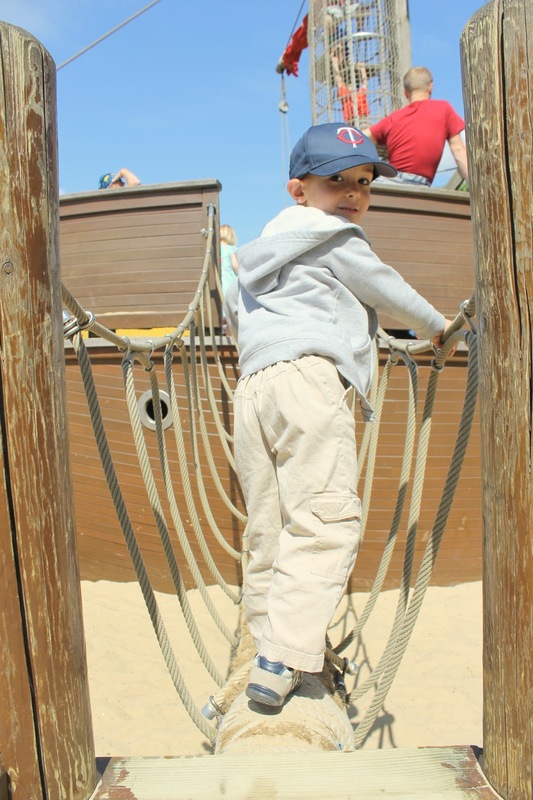 TIP: Wear shoes that you could easily shake the sand out of or that kids could slip off easily. Or wear shoes that will keep the sand out entirely. The centerpiece is a large pirate ship, something my little land lubber was quite keen to explore. You can get down below deck or even climb to the top of the mast. TIP: If you want, throw a bandana or an eye patch in your suitcase or day bag. Some kids were dressed as pirates, which seems like great fun! But there is so much more to enjoy about this playground. Every corner offers a new chance to imagine, from these little houses to the larger teepees. 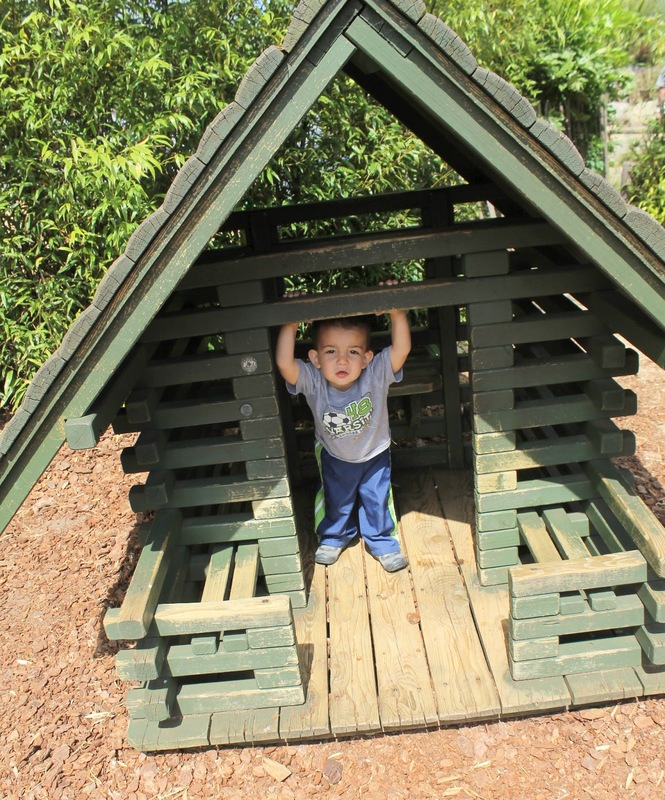 There are slides, swings, see saws, walkways through treetops and more. For the moms and dads, there’s also a café that serves coffee, ice cream, sandwiches, and other treats, including a kid’s menu that would make a great lunch option. 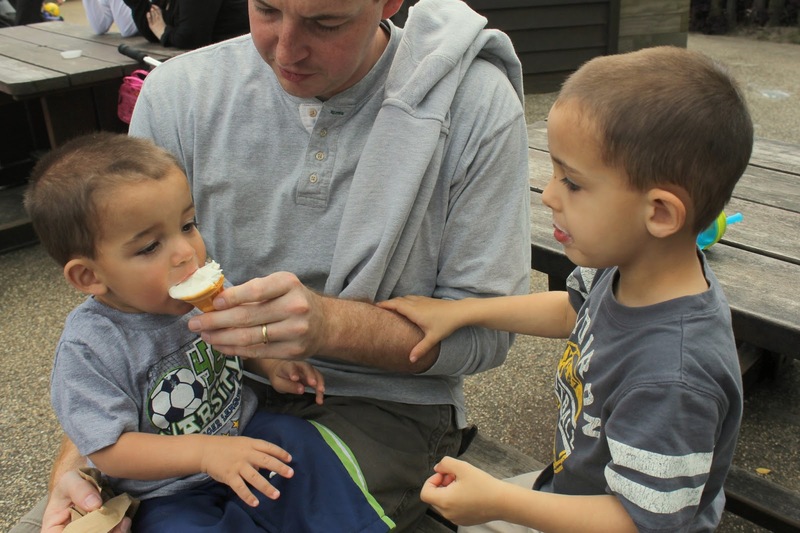 The only way we could convince our boys to take a break from playing was by sharing an ice cream cone. TIP: There are also lots of little food shops, delis and even fast food options nearby. You could grab food elsewhere and bring in a picnic lunch. TIP: You could easily make this a full day trip by spending more time around the playground. We limited the kids to about 90 minutes, but they could have easily stayed longer. Please note that there are official open hours to this portion of the park, which you’ll find on their website. But as Hyde Park combines with Kensington Gardens to form one of the largest urban parks in the world, there was more to see than just the playground. 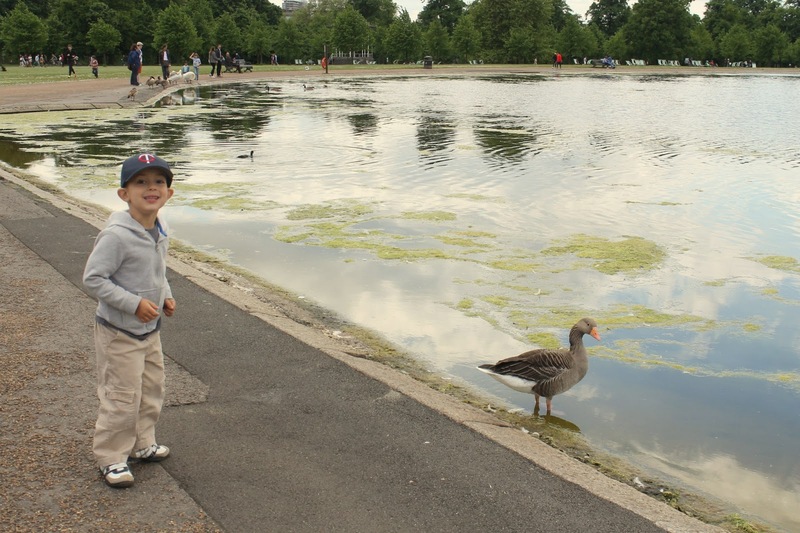 Big Arrow really enjoyed the Round Pond, where he could get up and close to ducks, swans and geese. We spent nearly an hour just walking through a portion of the park, and I know we didn’t see it all. 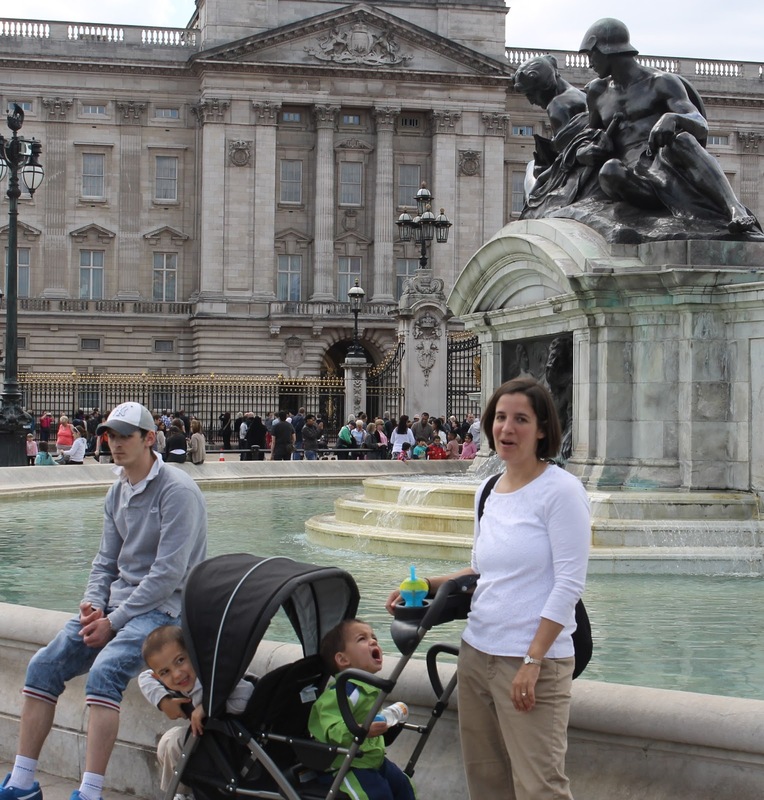 But I really wanted to fit in a little royal fix to end our day, so off we went to Buckingham Palace. (To make this happen, we walked roughly in a southeast direction through the park toward the palace). That’s one of the things I love about walking around London… one attraction seems to flow right into the next. TIP: If you’d like to see the Changing of the Guard at Buckingham Palace, which typically happens at 11:30 a.m. daily, then just reverse this itinerary and start your day there queuing with the crowds that form to see this event. 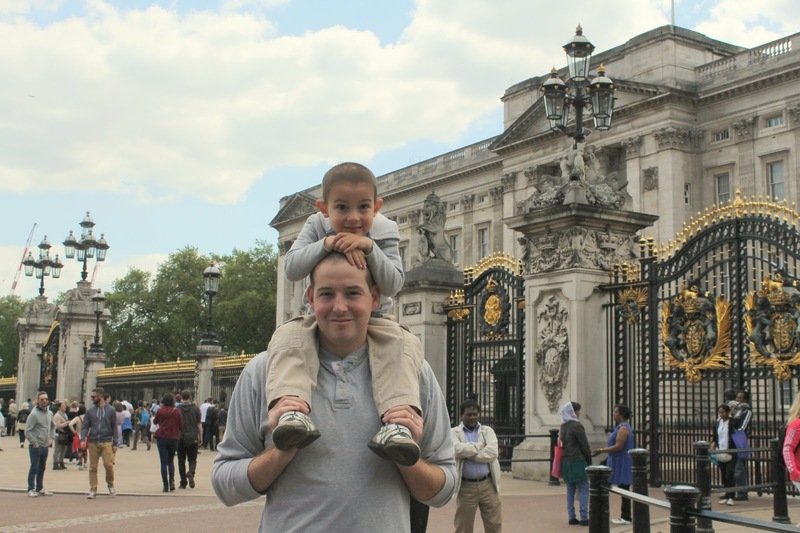 We spent a while admiring the palace, getting a look at the Royal Guards, and taking in all the crowds at this most famous of sites. 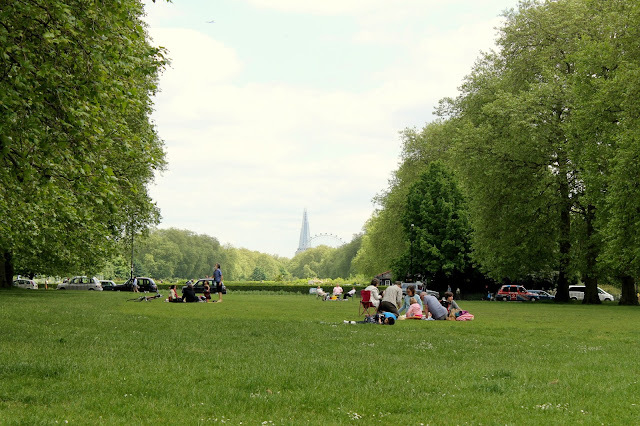 TIP: If, after being confined in strollers or constrained by the crowds at Buckingham Palace, your kids need to unwind and run around a bit, St. Jame’s Park surrounds the Palace itself and provides ample greenspace. And yes, this is the only picture my husband took of the boys and I all day. Lovely. This post is a part of Travel Tips Tuesday at Suitcases and Sippy Cups and Walking on Travels. I’m also linking up to Photo Friday at Delicious Baby and Friday Daydreamin' at R We There Yet Mom?